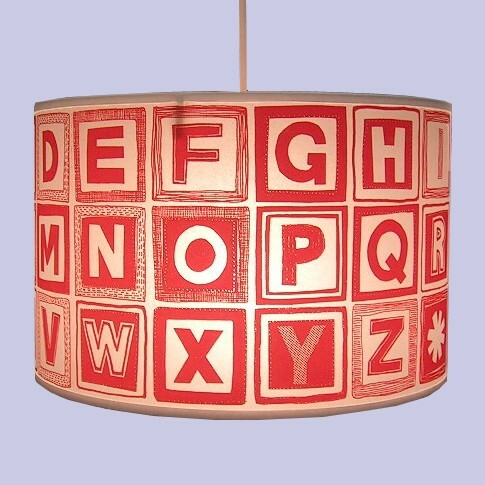 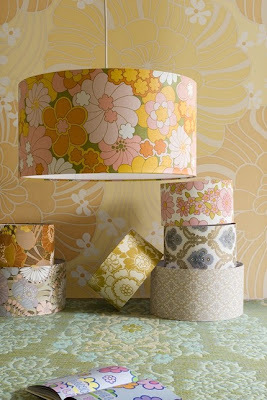 Collection of 'Creative Lampshades and Cool Lampshade Designs' can give a cool addition to your home décor. Vintage Wallpaper Lampshades: These cool lampshades are handmade in Florence, Italy from vintage Italian wallpaper, circa the 1970's. 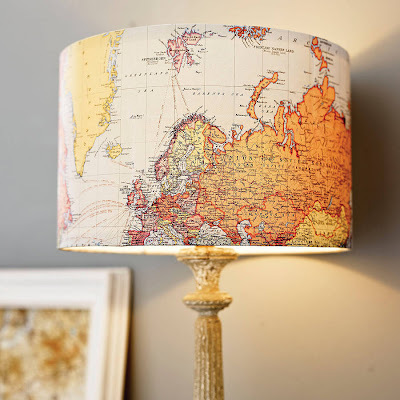 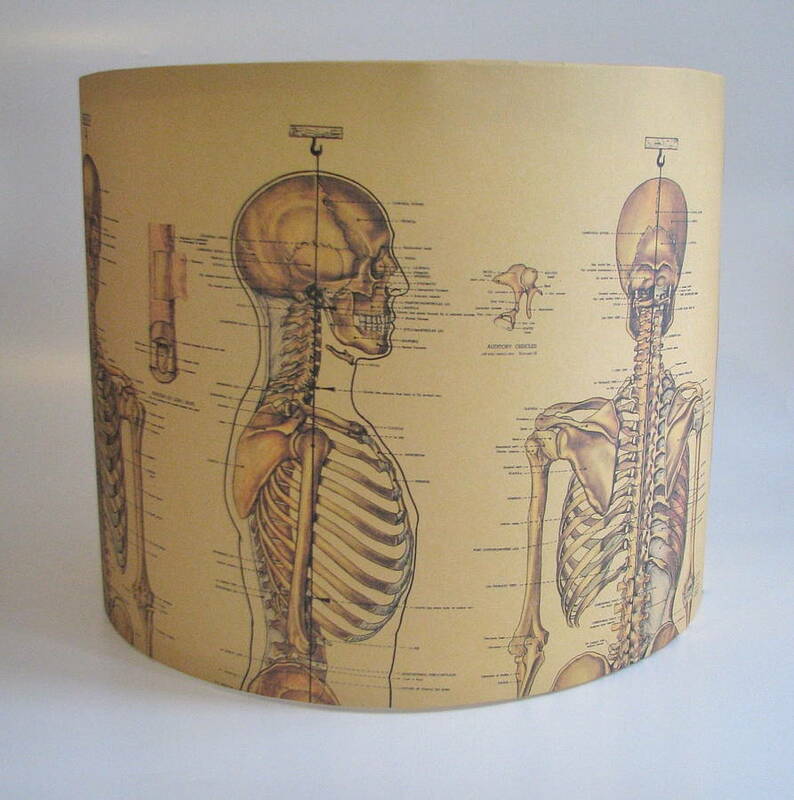 Vintage Map Lampshade: Handmade from Italian laid paper, suits a large table lamp or, with a top fitting as an overhead light. Doily Covered Lampshade: An interesting way to use your old lampshade; use doily to create an interesting pattern and reuse it. 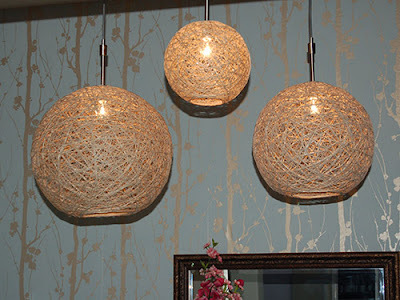 Hempstring Pendant Lamps: These creative pendant lamps are made from hempstring; just follow the tutorials to make one. 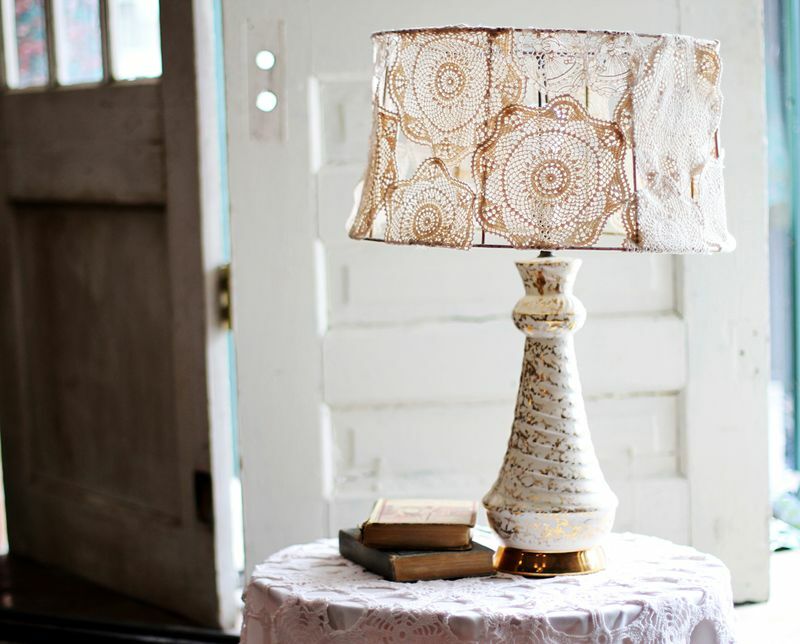 Burlap Drum Shade: To make this cool lampshade, follow the instructions given. 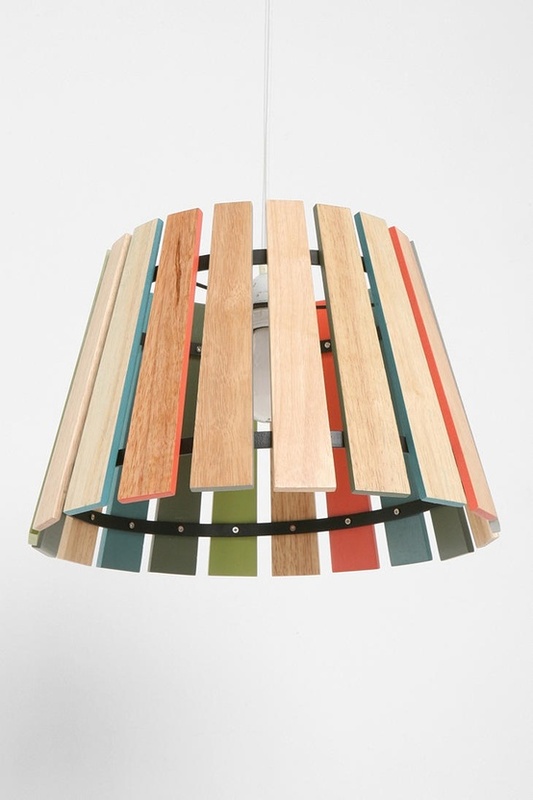 Spectrum Pendant Shade: This vintage-inspired pendant shade features rows of slatted wood attached to a sturdy metal and painted on the inside. Cream Lampshade with Gold Embroidery: This cream cotton lampshade comes with beautifully hand embroidered gold thread. 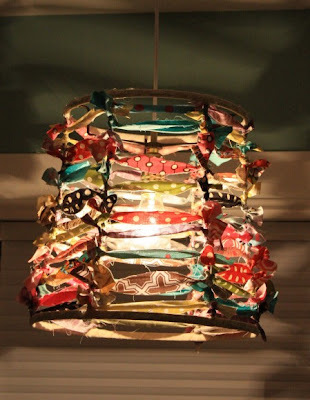 Fabric Pieces Lampshade: To make this creative lampshade, just follow the instructions. 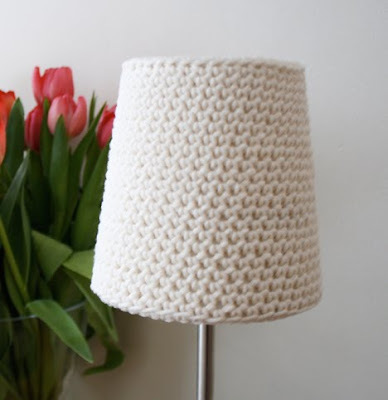 Crochet Lampshade: It looks simple yet elegant; to make one follow the tutorial. Woven Veneer Pendent: This woven veneer pendent lampshade looks cool and quite simple to make. 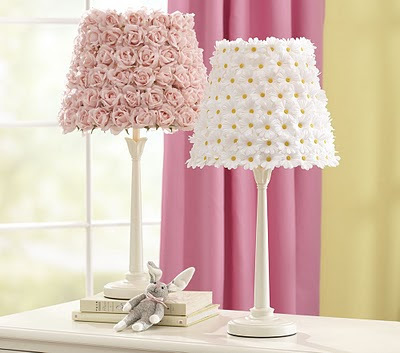 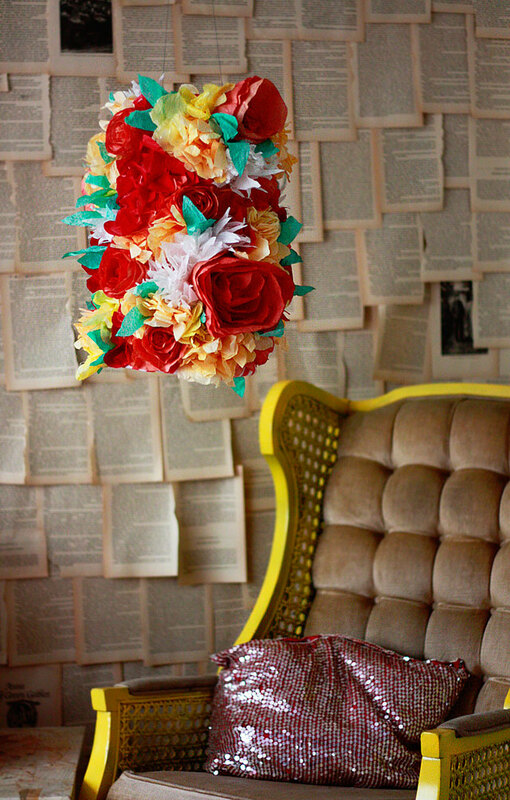 Flowering Lampshade: This lampshade looks great, its quite easy to make, all you need to do is to stick a bunch of flowers on it. 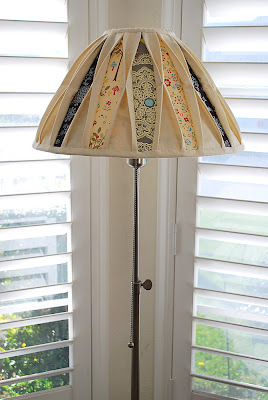 Peekaboo Lampshade: It looks cool, and to make one you have complete set of instructions. 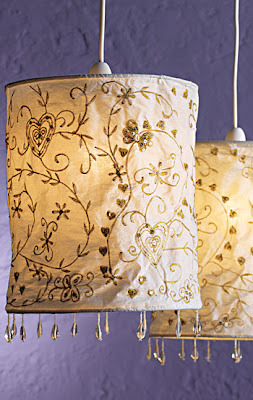 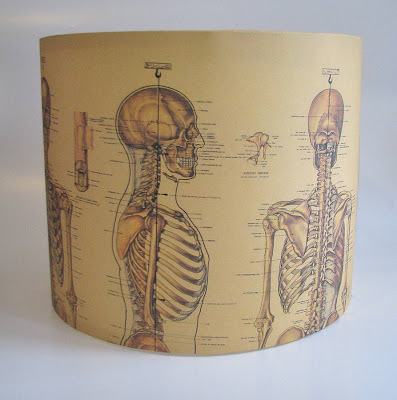 Don't miss to check out "Creative Lampshades and Cool Lampshade Designs - Part: 1| 2."